Guys, in this post i am going to share some mobile hacking triks, i hope that the trick is essential for every mobile user,So friens let's get started,The steps discussed below. Enter the number of whom u want details.. Enter any fake email id. Play songs from the hacked phone in the same phone. English to Bangla Dictionary Free Android Software Latest 2015 !! In earlier post share Free Bengali To English Dictionary For Java Mobile software. 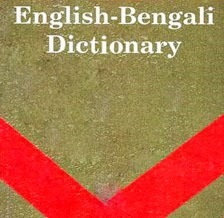 Today i am going to share a Bengali to English Dictionary. This application is Android version of the English to Bengali dictionary.